I thought I knew a little something about maps. After all, I use maps all the time in my house history research. Maps can be critical in identifying houses and the people who lived in them. Yet after speaking with David Allen of Old-maps.com I discovered just how little I really know about maps. David not only knows maps, he specializes in a very unique series created in the 1850s before the Civil War. David’s affair with maps stems from his passion for hiking. He moved to New England in the 1970s and as he walked through the woods he would stumble across stone walls and house ruins. He decided to search for old maps so that he could intentionally go “cellar hunting” during his hikes. He discovered huge county maps that span five feet across, often hung in town halls. These maps were advertised as displaying every road in existence at the time they were created. In addition, they displayed the home owner’s name and house location. These were the first mass produced maps in the United States using a “positive process” developed in Philadelphia in the 1850s. David knows more about the maps than most of the genealogists who use his scanned reproductions. He has researched the history of the men who created them, the processes used to make them and how they were surveyed. He’s done the research on the map salesmen and how they were advertised. He has also found names on the maps that don’t appear in the US Federal Censuses. There isn’t too much about these maps that he doesn’t know. 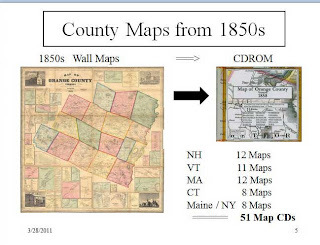 That background is going to be the subject of a talk “Mapping Vermont in the 1850s” [S-312] at the New England Regional Genealogical Conference (NERGC) in April. 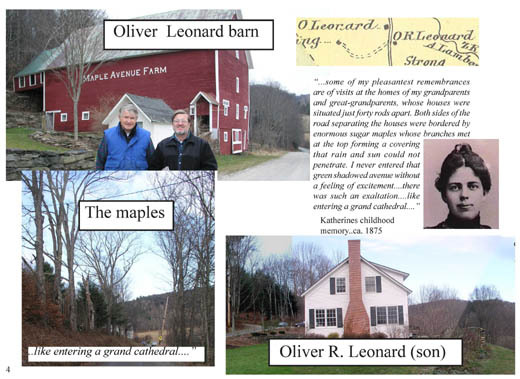 His talk is being sponsored by the Genealogical Society of Vermont. As far as he knows, most of these pre Civil War maps aren’t available electronically except for the scans he made and a few individual versions done by libraries. They are not available on Ancestry.com. In the future, David hopes that genealogists and historians will mine the names on the maps and make them more widely available. He would like to start an indexing project, having volunteers transcribe all the names on the maps. In addition to the Vermont maps, David has scanned county maps from Connecticut, Massachusetts, New Hampshire and a smaller selection from Maine and New York. 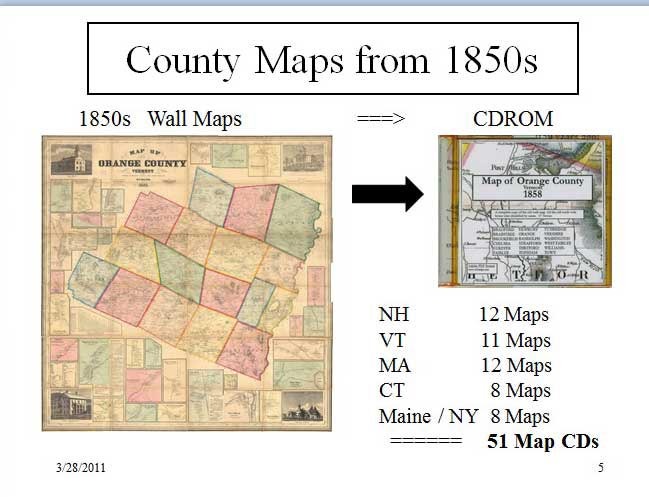 CD-roms collections of the map will be available at his booth (#39) at the New England Regional Genealogical Conference. Yesterday I attended the New England Family History Conference in Franklin, MA. It's a rather large one-day conference and typically over 500 people attend from all over New England. I love to attend this conference, and others, because it allows me the chance to see many friends and colleagues. Some of them I only see annually at this one conference. 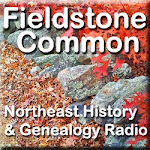 The answer to that for me is the New England Regional Genealogical Conference (NERGC). Because NERGC is held over a number of days, and because I stay the entire time in the conference hotel, I really get the chance to see people and have real conversations. I really covet the opportunity to spend time to have more in-depth conversations with people that I don't get to see that often. It also gives me the chance to speak with genealogists from other parts of the country that I've never met before. There's always quiet time before the daily talks start and also in the evenings when the day-time events are over. If you are a reader of this blog and are planning on attending NERGC, please let me know (either here in the comments, via twitter, or on the NERGC Facebook page). I would love the chance to meet you and at least say "hi". Maybe we'll be able to share a cup of coffee or mingle at one of the happy hours. If you haven't considered attending NERGC before, please do! In addition to all the great genealogy talks and workshops, this is one of the few regional New England events where you really get a chance to have a conversation with people just like yourself who understand exactly your passion for genealogy. So here's looking forward to seeing you at NERGC. Let me know that you are coming so that I can be on the lookout for you! [The New England Regional Genealogical Conference (NERGC) will be held April 6-10, 2011 in Springfield, Massachusetts. Recently I had the opportunity to interview Maureen A. Taylor, the Photo Detective, about her new book Finding the Civil War in Your Family Album. I was very involved with writing The Last Muster. Then the editors asked me to write about the Civil War. The book didn’t happen at that time but the more I researched it the more I realized there wasn’t a lot of information out there on photos of the Civil War. Now with the 150th anniversary of the start of the Civil War coming up on April 12, 2011 the timing was perfect. What types of photos are included in the book? There are many types of photos including ambrotypes, tintypes and others. Surprisingly, ambrotypes were more popular at the time of the Civil War than expected. There were many ambrotypes of soldiers and more tintypes of families. Where do the photos in the book come from? Some of the photos are from the Library of Congress collection, some from my personal collection and some from the collection of my friend and colleague, Jane Schwerdtfeger. Several of the photos were discovered during photo consultations at conference appearances. How common is it to find Civil War photos in a family collection? Most family collections start about 1900. However, if a family had a Civil War soldier then the book will help them find a photo. There was a famous quote that said just about ever Civil War soldier had their photo taken. What tip would you give to researchers who are looking for Civil War photos of their ancestors? They should research the regiment that their ancestor belonged to. Then they should search for a re-enactment group specific to that regiment. The re-enactment groups do extensive research on the individuals in the unit. What is the significance of the purple color of the cover of the book? The color purple represents valor which seemed appropriate for representing the soldiers of the Civil War. For more information, read my previous review of Finding the Civil War in Your Family Album. What interests or trades have been passed down in your family? At the end of my post yesterday I touched on the fact that some interests or avocations have been passed down through the generations in my family. 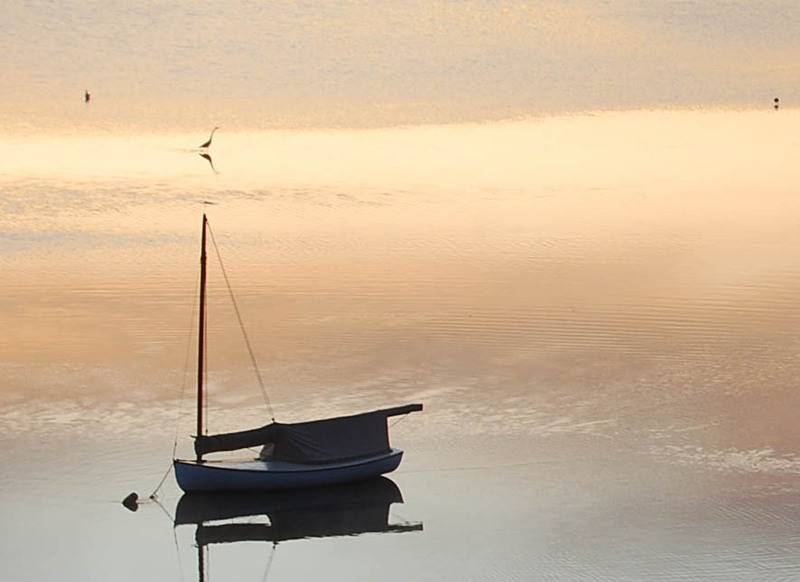 Some of the strong themes in my family have included writing, photography, sailing and even computer technology. My maternal grandfather was taking photos early on his life. On my Dad's side there is a strong streak for sailing. One of my cousins has even made a career out of it by working for a yacht company. Have you noticed any generational interests in an activity or a trade? Do you have a long line of amateur or professional musicians? How about firefighters? Maybe military service? Tell me about the generations of interests and trades that your family has shared! I believe it's more common than we might think. Photo: Copyright 2010 George Edwards. All Rights Reserved. You know the story that everyone in the world is separated only by six degrees of separation. That is, you should be able to identify a connection with a stranger simply through connections with six other people. I had my very own Six Degrees of Separation moment this week. I have been noticing links to an article in the New York Times about the Triangle Factory Fire in New York City in 1911. I've been meaning to get around to reading the article and just hadn't done it yet. Then this morning I saw yet another link to the article, this time connected to the name Ruth Sergel. I thought to myself, "Sergel, Sergel, I know that name." Indeed, I did. In 2009 when I first started this blog, I wrote some articles based on a box of "Congratulations on the Birth of Your Daughter" cards sent to my great aunt and uncle, Edwin L. and Helen Peterson, on the birth of their daughter, Peggy. Going through the box was like unraveling a mystery as I tried to figure out who the senders of the cards were. One of the articles called "Ruth and Roger" was about an unknown couple named Ruth and Roger Sergel. The Sergels turned out the be a very interesting family involved in writing and film. My "Uncle Petie" was a popular writing professor at the University of Pittsburgh at the time the card was sent in 1940. I have presumed that they knew him through his position there but never figured out exactly how. Jump forward to today and I am reading about Ruth Sergel (namesake of her grandmother, I presume) in the New York Times. This wonderful article details Ruth's curiosity and passion for remembering the victims of the Triangle Factory Fire. I would strongly encourage you to read the article if you haven't yet. I have never met Ruth but I think I would like her very much if I did. She clearly has a passion for history, creative ideas and photography. The daughter of a poet and a playwright, writing must have loomed large in her life also. And that's where the real connection is made between the two of us. Her grandparents were likely "writing friends" of my great uncle who was known as the writing teacher to a generation of authors. Writing has loomed large in my life. My mother always spoke about Uncle Petie, his writing, his professorship at Pitt and his correspondence and friendships with the authors of his generation. Uncle Petie inspired in my mother and her cousin, Peggy, a love of writing, literature, art and nature. My mother spoke regularly about Uncle Petie and always with such love and pride in her voice. I would go so far as to say that the reason I am writing this blog has to do with my mother's influence on me (and my dad too, but that's another story for another day) and Uncle Petie's influence on her. I am amazed at how strong the ties are that bond one generation to the next. I would guess that the ties are very strong in Ruth Sergel's family too. Though we don't know each other, we are both the products of a strong, positive influence by our family members. If it weren't for the Triangle Factory Fire of 1911 and Ruth's passion for remembering the victims, I may never have heard of her. I am intrigued by Genlighten. It's a website where researchers can hire genealogists to do specific lookups. It's not a full service genealogy site, rather more like a la carte. I spend a lot of time in Registry of Deeds and Probate Courts in Southern New England. I thought it would fun to add myself to Genlighten and offer Deed and Probate lookups since I am in the trenches anyway. The one thing that is stopping me from signing up is the pricing. I'm not sure how to come up with a single price. I have one set basic cost - that's my time/gas back and forth to the courthouse. But after that how do I slice it? Is the client providing the docket file number, the name and year or just the name? With each diminishing amount of information extra time is needed for research. There are three variables right there. Does the client know exactly what they are looking for? A "will" file can contain one piece of paper or myriads of documents. Is the client looking for just the will or also the accounts, distributions, decrees, estate inventories, etc. Personally I would want the whole file but maybe someone just wants to have the will. As mentioned above probate files are a mystery until you open them. It doesn't seem fair to charge a person who receives one page the same as someone who receives 100. Not to mention that it takes a lot more of my time to photocopy 100 pages than one page. So how should I approach this? Should I create multiple "package" options for the same courthouse? I could really use some suggestions. Maybe the idea is the law of averages. That I should create a single price in the middle and that it will ultimately average out. Or maybe I can list additional fees based on extra number of pages. If anyone is using Genlighten, please send some suggestions my way. I'd really love to be able to provide this service for genealogists who have Southern New England ancestry through an existing website like Genlighten. I'm just stuck on how to get past this one bump. I've just learned a lesson the hard way. I guess that's the best way to ensure that you won't make the same mistake again. A few years back I found information on one of my brick wall ancestors, Pleasant Ann (?) McClaren (01 Apr 1823 - 15 Jul 1902) of Black Lick, Indiana County, Pennsylvania on a website called "Treasures of the Past". I made very careful notes in my genealogy program and sourced my information correctly. I even wrote down the full web url. The only problem is the website doesn't exist anymore. I suppose it doesn't really matter. I have the data and the source. I could order a death certificate and that would be better data anyway. But there is something reassuring about being about to go back and look at the webpage where I got the information and be sure that I didn't forget to note something down. Individual or free genealogy webpages are prone to disappearing. Especially if, when you do your research, you dip in and out of different families with long spans of time passing in between. But don't let that fool you. It can happen on Ancestry.com as well. I have early ancestors from Eastern New York. Ancestry.com used to have some great church records for the Columbia County, New York area. Then one day they stopped carrying the database. I had captured some of the data I needed but not all of it. That was early on in my genealogy days. I've been kicking myself ever since. You can print it out on paper. I don't like printing because that means I now have a piece of paper that I need to keep track of. I'm not good with paper. It's guaranteed that I'll lose it. But that shouldn't discourage you if you can keep track of it better than me. You can "print" it to an electronic file. I'll never understand why you have to "print" to save something electronically but when you create a pdf file that exactly what you have to do. Saving as an electronic file gives you the same thing as print out without have to figure out what to do with the paper. In order to save something as a pdf file you need to have a program that creates pdf files. Adobe Acrobat is the original program for creating pdf files. Since then many other developers have created programs to create pdf files, some of which are for free. Do an internet search for "free pdf programs" and you will find some options. If you watched the live streaming lectures from RootsTech then you had the chance to see a very in-depth lecture on Adobe Acrobat/pdf files by D. Joshua Taylor of the New England Historic Genealogical Society (NEHGS). Unfortunately, that's not among the ones that are currently available for viewing on the RootsTech website. I admit that I am much better organized in my computer than with paper file folders in my office. For that reason, I try to scan everything that I want to find again whether it is genealogical documents, annual physicals, eye prescriptions and big ticket item receipts. I am going to have to get better at saving the webpages where I find genealogy information. It's an extra step and it takes a little extra time, but it will save my loads of time and headache in the future. 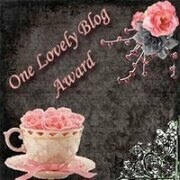 I've been honored to receive the One Lovely Blog Award from Polly Kimmit at Pollyblog, Frances Elizabeth Schwab at My Adventures in Genealogy, Janeen at They Came in Ships, Audrey Collins at The Family Recorder, Valerie at Family Cherished and Nancy at My Ancestors and Me. Thank you all for reading and enjoying my blog. You all have such great blogs yourselves that I am honored that you thought of me. I am going to have to forgo passing it forward at the moment due to my schedule but I will work checking out new blogs and making a list. I love to see great writing on the web and encourage everyone to give blogging a try. People have everyday living habits that are very routine. Other people come to know them by those routines. For instance, I love to sit in a certain chair in the living room with my laptop and read the news first thing in the morning or write my blog. It's a really comfortable chair just perfect for relaxing and getting down to some writing. I sit there so often that my children swing by that room as they come down the stairs after waking up. My husband even teases me about it. If I were a ghost I would most definitely haunt that chair. But I would probably ignore all living traffic in the room because I would be busy writing or surfing the web! 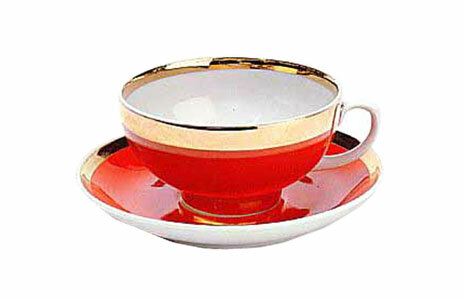 If were a ghost I would also haunt the living by shuffling from my chair to the stove to make my morning cup of tea. So it is very likely that the living would frequently here a shuffling noise and the sound of water boiling on the stove. I'm not sure if they would smell anything as I don't think the black tea has much of a scent. The folks I haunt would be lucky in that I would only haunt them in the early morning hours with all this activity unless of course they were trying to sleep late. What about you? What kind of ghost would you make? Write your comments below or in your own blog. This book is so hot off the press that there are no printed copies available yet (they will be soon). I was able to review the book when the author allowed me to read her single-copy galley proof. I have been interested in photo identification from the time I became interested in genealogy. I come from a long line of photographers in my family. So it’s a natural fit for me. 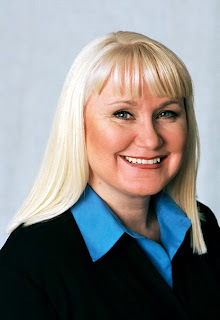 I’ve been reading Maureen Taylor’s books right from the start, as well as following her informative Photo Detective articles in Family Tree Magazine. I am very familiar not only with Taylor’s photo identification books but I also have a collection written by other authors. As a genealogist and family historian, I know what I want in a photo identification book. I want lots of photos. I want to be able to see a wide variety of photos that I can compare to my own historical family collection as well as to my private non-family collection which I’ve been growing slowly. I want to see a variety of details such as clothing, props and backdrops that will give me the tools I need to identify my own photos. In her latest book Finding the Civil War in Your Family Album, Taylor provides 130 photos related specifically to the Civil War time frame in this 192-page book. The book is an easy-to-hold trade paperback size but that doesn’t detract from the photos which are large enough to view the important details. Except for the cover, the book and photos are in black and white. There is a wide variety of photos from families to individual portraits, children and adults. I was pleased to see a selection of African American portraits also. Given that the book focuses on the Civil War there are many photos of soldiers (even a sailor or two). Without actually counting, it appeared that there was a pretty even divide between Union soldiers and Confederate soldiers. In addition to an abundance of photos, readers are treated to a broad overview of topics relating to Civil War photos. Taylor provides background information related to the time period on photo albums, revenue stamps, clothing (separate chapters for men, women and children), uniforms, weddings and much more. In addition there is a chapter focused on researching photographers whose company imprints often appear on the photos. A nice touch that has been added to the end of the book is a chapter of real life success stories in finding family photos. She recounts the success of family historians, Midge Frazel at the site Dead Fred and of Rachel Pierce on eBay in locating family photos. The book also includes sections for endnotes, a glossary and bibliography. The book is currently for sale on CreateSpace and I’m told the first books will ship at the end of March 2011. 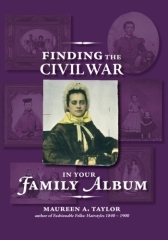 Maureen Taylor, in her book Finding the Civil War in Your Family Album, delivers just the right balance between providing numerous example photographs and detailed historical and photographic background. If you have Civil War era ancestors in your family you will find this book a welcome and beneficial addition to your library. I just got off the phone after interviewing Elissa Scalise Powell about her upcoming appearance at NERGC (you can see that in a few days on the NERGC blog). While we were talking about genealogy we took a philosophical detour down the ancestral road. One of the things we discussed was "Why do people have favorite ancestors?" How is it that people start researching the many ancestors they have and somewhere along the way they develop favorites? Basically you're selecting favorites among people you've never met. Elissa mentioned that the ancestors who were the most puzzling often became her favorites. Also, the ones with good stories. Elissa has some really fascinating ancestors with interesting stories to tell. I'll give you an example of one of my favorite ancestors. His name is David Turner Shaw and he lived from 1764-1856, dying in Bath, Maine. There are two things that make him one of my favorites. First, he was town clerk of Bath, Maine for over forty years. I just thought that was cool. Second, when he died in 1856, his wife of 63 years died exactly 7 days after him. I like to think that they had quite a pleasant marriage. In addition to having the start of a good story I felt connected to him because of these details. So I want to ask you folks - Why do you have favorite ancestors? How did you select them? As a complete aside, this conversation I had with Elissa demonstrates exactly why you should get involved with the genealogical community. As a volunteer for the New England Regional Genealogical Conference I had the opportunity to speak one-on-one with this amazing genealogist. Imagine being able to interact with genealogists who are helping to guide the next generation! By getting involved with local, or even national, genealogical organizations these kinds of opportunities appear. Not only did I have a fascinating conversation with Elissa on the phone but I'm really looking forward to seeing her at NERGC in April so I can continue the conversation. Last night the reality program Top Chef on Bravo did just what I love most. They incorporated a segment on genealogy into one of their episodes. I love that mainstream television is catching on to how much fun genealogy and family history is. I want to see more programs feature family history research about their stars. 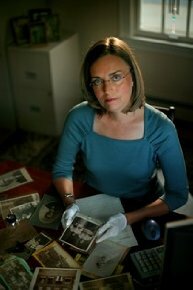 Another person who feels the same way as I do is internationally-known genealogist, Megan Smolenyak. Megan compiled the family history featured in last night's show. So what is Top Chef all about? I have to admit that before last night I had never watched the show. I was eagerly awaiting the episode, yet with great hesitation, not knowing how they were going to handle family history. Looking back, considering it was a cooking show, they gave more than expected. 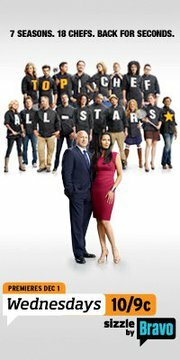 The show features famous chefs who are competing for the Top Chef title with eliminations being made each week. On this episode the five remaining chefs had to compete by preparing food quickly on the short ferry ride over to Ellis Island. Once they arrived, however, the family history began. The show's host, Padma Lakshmi, told the contestants that for their next competition they would be creating heritage meals based on their ancestry. Next, parents or spouses of the contestants walked out and gave them books with their family history compiled by Megan Smolenyak. Tiffany Derry from Dallas, TX who decided to cook a southern dish based on her southern roots. Richard Blais from Atlanta, GA who discovered his English and Irish roots. Michael Isabella from Washington D.C. who focused in on his Italian heritage despite the fact that he normally doesn't cook Italian cuisine. Carla Hall from Washington D.C. who also connected with her southern roots for the heritage cuisine contest. Antonia Lofaso from Los Angeles, CA who discovered her 3/4 Italian and 1/4 Jewish heritage. She decided to focus on Italian cuisine for the competition. The heritage moment/reunion was well-done and enjoyable but, of course, had to come to an end so that the contestants could get back to the business of the competition. Despite not be very experienced with reality cooking shows I found the episode to be a lot of fun. I had the opportunity to interview Megan briefly this morning about her involvement with the show. Megan described a whirlwind research project where she had less than a month to research numerous cast members. In the week before the project deadline she was able to have some contact with family members to gather further information and photographs. Megan conducted the genealogical research without having a specific goal set by the television producers. She went back as far as she could given the very brief time she had. She then summarized the history and the most interesting stories for the producers. She did not get to speak with the contestants themselves during her work. On average Megan was able to get back five generations to reveal information about the great, grandparents of the show's contestants. One of the interesting tidbits discovered was that two of the contestants, Antonia Lofaso and Michael Isabella area likely distant cousins, both having ancestry within the Antonacci family of Italy. For another contestant, Carla Hall, Megan was able to tell her of her strong southern roots in South Carolina, Georgia, Missouri, Alabama and Tennessee. She revealed that one of Carla's paternal great grandfathers was a free man of color born in Georgia who owned his own printing business. And a great grandfather on Carla's maternal side from Tennessee served with the US Colored Troops during the Civil War. Megan loves to get the word out about genealogy and encourages everyone to start exploring their family history. She would like to see more shows, particularly those focused on fashion, food and home design, feature more heritage inspired content like we saw on Top Chef last night. The rumor circulating around the internet is that there will be a genealogical component to tonight's episode of Top Chef on cable tv. Dare I say that genealogy is becoming mainstream? I don't think that we've reached that point yet. But if you have the chance, tune into Top Chef which is on Bravo. They are going to cook on their way to Ellis Island. The episode will air at 10:00pm EST. The challenge for me is figuring out which channel Top Chef is on because I've never watched it before. Nor do I think I have ever watched Bravo. If you have Verizon Fios you can check here by typing in your zip code. South of Boston that means I'll find Bravo on channel 185 or 685 for HD. If you have Comcast/Xfinity you can check here to find your local channel. South of Boston it's on channel 57. If you have any other service provider you're on your own to look it up on the internet. Sorry! Let me know if you catch Top Chef tonight. I'm going to try to see it for myself. I hope they do something fun with the trip to Ellis Island. I have to admit that when I first encountered this book I was a bit hesitant about a genealogy book associated with a television program. You can understand my hesitation considering there are very few genealogy programs and even fewer with companion books. I was pleasantly surprised by this book by well-known genealogist Megan Smolenyak. The book is geared toward the beginning genealogist, particularly those people who may have watched the show and decided it was time to start tracing their roots. There have been many beginning genealogy books published in the past so what makes this one different? I am happy to say that this book is different. First off, it is easy to read and approachable. It is written in a playful, conversational style. Anyone who is sticking their big toe in the pool of genealogy will feel welcomed rather than apprehensive or overwhelmed. Smolenyak also has a way of gently warning the beginners of genealogical pitfalls and myths all the while coaxing them in the right direction. She provides them with the important first steps in genealogy such as beginning with home sources and oral history interviews. She then takes her readers through census, vital and military records as well as “crossing the pond” back to the old country. She has a whole section about online records while at the same time cautioning the beginners that not all information is found online. Perhaps one of the things I like best about the book is that Smolenyak uses examples from her own personal family history as well as from her professional projects to illustrate her discussions. The result is a more intimate book. The previously released hard copy version contains a full-color section with profiles of the celebrities from season one. The profiles contain a summary of the individual episodes that were revealed during the first season. While providing an accurate summary of the programs, the profiles understandably lack the emotional element that is present in the television version. For anyone that is particularly interested in learning about the celebrities I would encourage you to seek out the original episodes online or in video format. Please note that the recently released paperback version of the book does not contain the celebrity overviews. 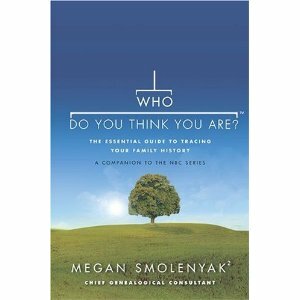 In summary, Megan Smolenyak’s companion book to the series Who Do You Think You Are? is a delightful, welcoming introduction to genealogy for the uninitiated. If you have a friend or relative that seems ready to learn about their family history then encourage them with a copy of this book. It may be just what they need to catch the genealogy bug. Both versions of book can currently be found online at quite reasonable discounted prices.